NEW PREMIUM TOWELS NOW AVAILABLE!!!!!! Replace your old boring scracthy towel with my new thicker, soft, and absorbant beach/pool towel. This makes a GREAT gift! It measures a LARGE 30x60 which is a great size for the pool and beach. It is made from a polyester/cotton velour blend, and it is super soft and not scratchy at all on the printed side like most pool towels. Image will not peel or unravel because it is printed onto the towel. 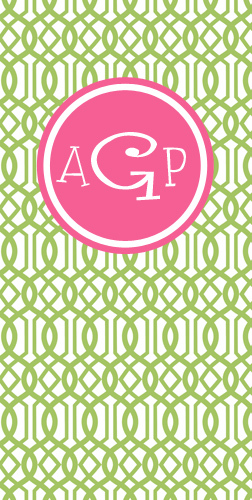 Gorgeous patterns in beautiful colors with personalized monogram or names. It prints super bright and colorful.